Ranked as the third most densely packed country in the world, land is certainly scarce and expensive on this little red dot. It is no wonder that parking in Singapore is so pricey, especially in Orchard and the CBD! Therefore, we've listed out the 11 most expensive parking spots in Singapore, and their respective cheaper parking alternatives. For an easy comparison, we've assessed the parking rates before 5pm on weekdays. Notable for dominating Singapore's skyline, MBS is a luxurious integrated resort that is located at Bayfront Avenue. MBS charges $7 for the first hour and $1 for every subsequent 30 minutes, up to a maximum charge of $26, from 7am to 7pm on weekdays. If you don't mind a short 10-minute walk, you can park your car at Gardens by the Bay for $0.03 per minute, which means it'll only cost you $1.80 per hour! Located directly beneath The Lawn @ Marina Bay, Marina Bay Link Mall is an underground shopping mall with a variety of retail and F&B outlets. The mall offers 250 parking lots that charges $1.07 every 10 minutes which is equivalent to $6.42 per hour! Alternatively, you can park your car at The Sail @ Marina Bay at $4 per hour. MBFC is a commercial building situated along Marina Boulevard and Central Boulevard. The parking rates of Towers 1 and 3 are the same, at $1.07 per 10 minutes, while Tower 3 charges you $6.42 per hour. Similarly, you can choose to park your car at The Sail @ Marina Bay to save some money. 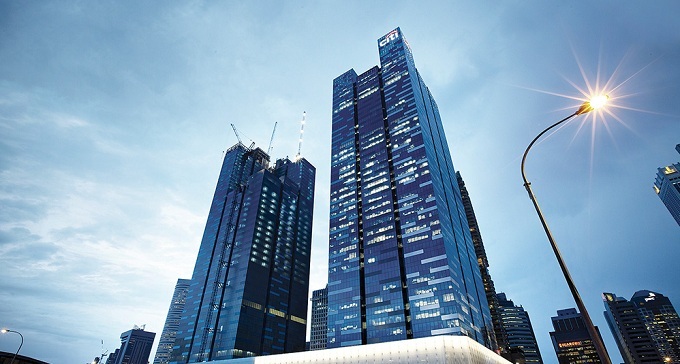 Well-positioned in the heart of CBD, One Raffles Quay is home to several international banks such as Deutsche Bank, Barclays and Credit Suisse. It consists of North and South Towers with parking rates of $1.07 per 10 minutes from 6am to 5pm on weekdays. A slightly cheaper alternative is 6 Raffles Quay situated right opposite - $2.50 every 30 minutes from 7am to 8pm. If you're looking for long-term parking at One Raffles Quay, season parking is available at $480 per month. 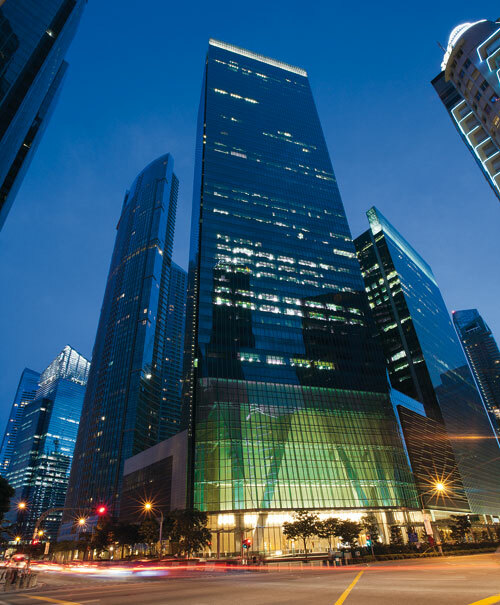 OUE Bayfront is an 18-story building that is strategically positioned along Collyer Quay. Carpark rates are identical to One Raffles Quay at $1.07 every 10 minutes. Another option is to park your car at One Marina Boulevard, also known as NTUC Centre, which costs $2.14 per 30 minutes. Asia Square is a rather new commercial development that integrates with a business hotel. Situated along Marina View, it offers office, entertainment and dining facilities, including the largest gym in the CBD. Comprising of two towers, Asia Square charges $1.07 every 10 minutes of parking. Otherwise, you can park your car at The Sail @ Marina Bay instead. If you're looking for long-term parking at Asia Square, season parking is available at $535 per month. Shenton House is located in the heart of CBD and only a 6-minute walk to Downtown MRT Station. Parking here will cost you $3.20 per 30 minutes. A cheaper alternative is SGX Centre which charges you $2.50 every half an hour. 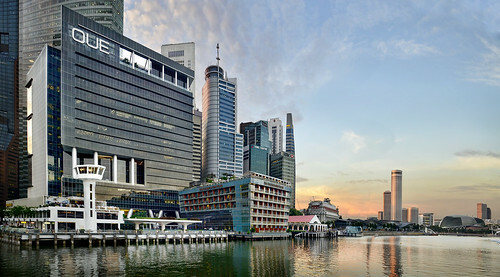 Formerly known as the Standard Chartered Building, the skyscraper is situated in Raffles Place and faces the Singapore River. Home to a number of MNCs, parking rate at 6 Battery Road is $3.10 every 30 minutes. Unfortunately, most parking spots around this area cost about the same, so a slightly cheaper alternative available is One Raffles Place at $2.62 per half-hour. Hilton Hotel is prominently located in the central of Orchard Road and is walking distance to major shopping malls such as Takashimaya Shopping Center and ION Orchard. Famous for its luxurious accommodation, Hilton Hotel charges $7 for the first hour and a whopping $3.50 for the next subsequent 30 minutes! Drivers are given a 5-minute grace period, so if you exit the carpark within the first 5 minutes, you'll not be charged. Alternatively, park your car at Forum The Shopping Mall at $2.40 for the first hour and $1.20 for the next half an hour. Overlooking the Singapore River, The Fullerton Hotel is a 5-star hotel that is remarkable for offering luxurious service and comfort. Parking here before 5pm on weekdays will cost you $1.07 every 10 minutes, which means $6.42 per hour. If you don't mind a 6-minute walk, a much cheaper alternative is New Parliament House that charges you only $1.13 every 30 minutes! 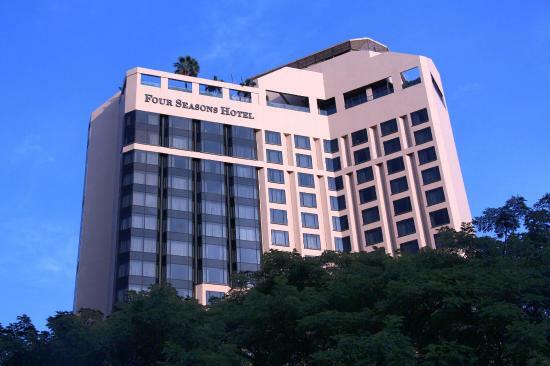 Four Seasons Hotel is also a 5-star hotel that is situated along Orchard Boulevard. There are plenty of malls around the area such as Wheelock Place, Forum The Shopping Mall and Shaw Centre. Four Seasons charges you $6 for the first hour and $3 for every subsequent half-hour. As an alternative, you can park your car at Forum The Shopping Mall instead!